Reality TV is something that so many of us enjoy. Many times we use it as an escape for an hour or so. But with so much reality TV, what really makes a great show or season? Well, there are many factors, I think that a mixture of drama, makeups and good villains are what really make them succeed. Let’s take, for example, The Real Housewives of Vancouver. In this short-lived show, we had a really good villain through Jody Claman who was truly one of the ultimate villains on reality TV. Jody brought hatred and drama that we all need. Ronnie Negus and Mary Zilba really came with the drama that lasted the entire season. 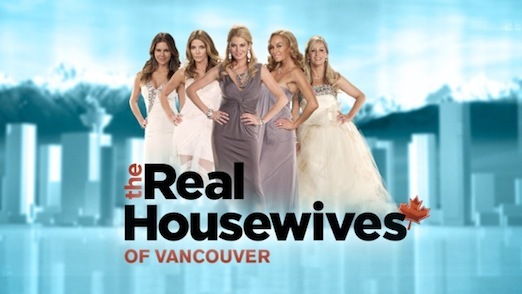 The Real Housewives of Vancouver really was a great reality tv show. Season 2 of Rupauls Drag Race: All-Stars is another reality moment that was great television. We had a great villain through Phi Phi O’Hara who was able to keep up with the rest of the pack. As well, there was an interesting twist in which the contestants were the ones who chose who got eliminated and finally, the contestant to episode ratio was fairly equal. Now what doesn’t make a good season of reality TV is if there are too many gimmicks or if the villain in that particular season is not able to keep up or compete with the other cast members. Yes, reality TV can be good and not just trash TV if it is done well. I hope that after this you will be able to analyze Jersey Shore: Family Vacation the next time you watch it. This entry was posted in Entertainment, Music, New Music Now and tagged as2, reality television, Reality TV, rhov, rpdr, rupauls drag race all stars, the real housewives of vancouver by Elvin Sisco. Bookmark the permalink.